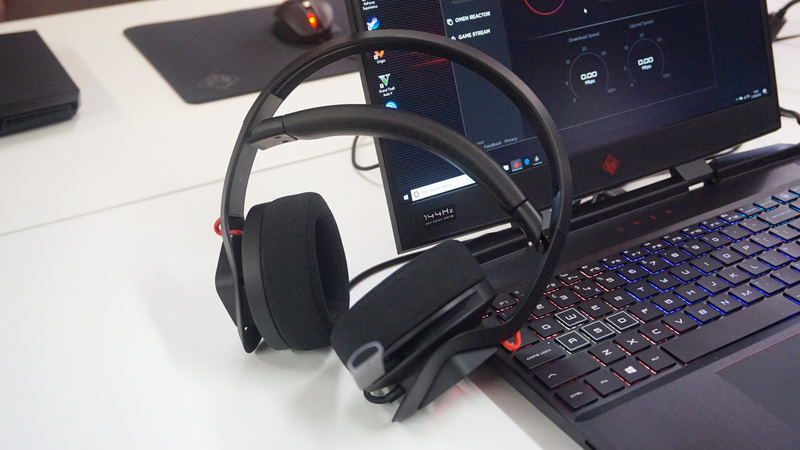 The HP Omen Mindframe headset is quite possibly the most bonkers piece of audio equipment I’ve ever seen. It’s called MINDFRAME for a start, which is both brilliant and ridiculous in equal measure, but what really sets it apart from other headsets is pretty damn cool – as in literally cool thanks to its thermoelectric ear-cooling earcups. I’ll admit I was a bit skeptical when HP first announced this chilly piece of audio wizardry back in May, as I couldn’t possibly think of a single reason why I’d ever need to keep my ears cool while playing a game. I still can’t, if I’m being completely honest, but having tried one for myself at Gamescom the other week, I have to say the Mindframe is actually a lot more impressive than I first thought, especially now HP’s added a freezer’s worth of new features to it since that initial announcement. Could it be best gaming headset material? Here are my initial impressions.